Vaporesso TARGET Pro MOD features upgradeable firmware with customized configuration and more output modes. It is comaptible with most 510 thread tanks. 75W Vaporesso TARGET Pro MOD comes with upgradeable firmware with customized configuration and more output modes. You will have a better vaping experience with it. 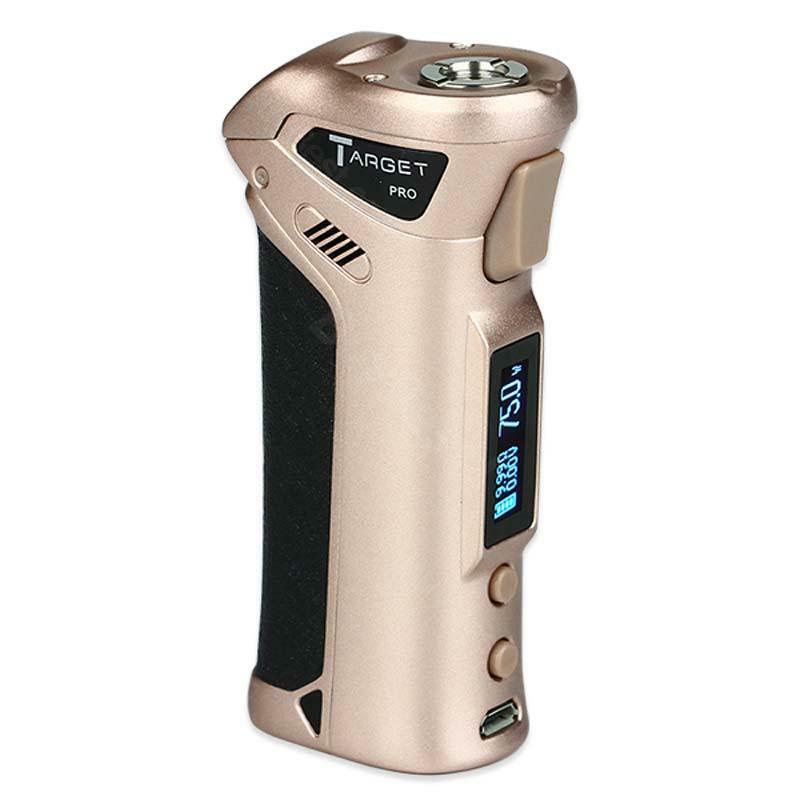 • It doesn't come with 18650 lithium battery, you need to buy separately. • 3 months warranty for Target Pro MOD. Vaporesso TARGET Pro VTC Box MOD gefällt mir sehr gut. Und ist h?ufig in Gebrauch. Die Anleitung ist auch in Ordnung. Vaporesso TARGET Pro MOD is a good purchase. it looks the way it shows in the picture the look pretty in real life. recommend it.